You are here: Home / Tips for Equestrians / Sacrifice Area On Horse Properties – What Is It and Why Is It Needed? Sacrifice Area On Horse Properties – What Is It and Why Is It Needed? Sacrifice areas on horse properties are paddocks, fenced in areas around the barn, where horses are kept when not let out in the pastures. They are also known as dirt lots (or mud lots in the wet weather). Why not just keep the horses in the pastures? Horses will tear up the pastures when the ground is wet. When the ground is muddy, the constant trampling, especially with 1200 pounds of weight, will destroy the grass and, as we all know, will not grow back. This is why the sacrifice areas are needed. To establish a paddock, fence in an area by the barn, or close to it. 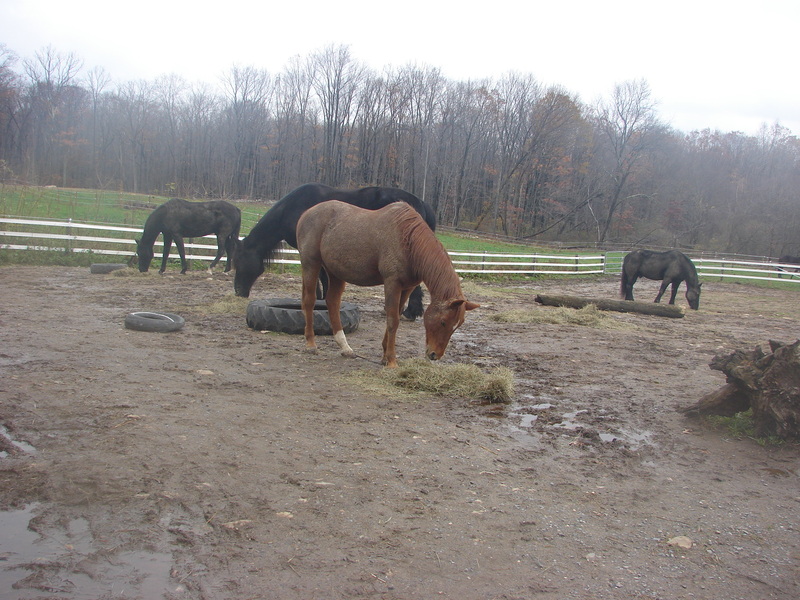 If in a herd situation, the paddocks should be large enough that the horses are able to roam around, able to get away from each other during rough play, or while eating hay (the piles of hay should be scattered far enough away from each other so horses can eat in peace). If the horses have individual turnouts, the area should be large enough for them to walk around. Make sure there is water available in the paddock. It can be either an automated waterer, or a stock tank. Even buckets of water will do. Just remember to check regularly to make sure that they are filled. Horses drink a lot of water (approximately 10-15 gallons a day). When creating your fenced areas on your horse property, remember that a sacrifice area will be needed when the pastures need to be rested and preserved.